Open champagne and wine; place bottles in ice buckets filled with ice to keep cold, if desired. 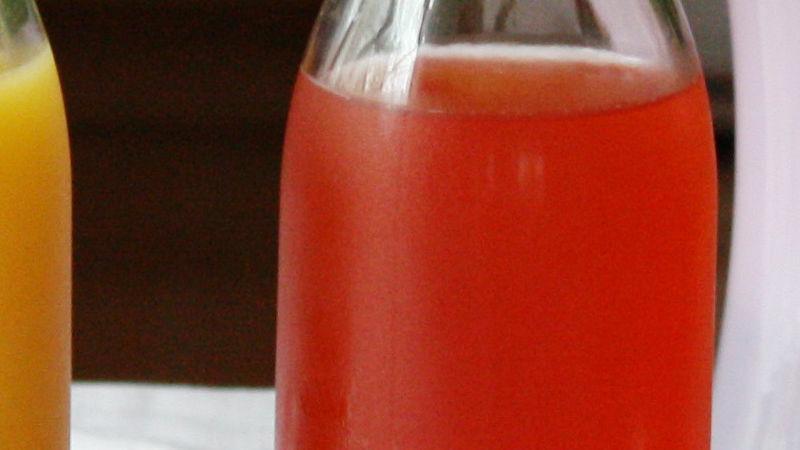 Pour each fruit juice into separate clear glass bottle or pitcher. Set out champagne flutes for guests to self-serve. To make mimosa: Fill champagne flute with equal amounts champagne or wine and fruit juice of choice. Substitute your favorite fruit juices for the orange, peach and kiwi-strawberry juices. Make a bellini bar! Swap fruit juices for fruit purees, such as peach, strawberry and raspberry (don’t forget to strain out the seeds). Set up this easy cocktail bar for wedding or baby showers or for a nice brunch. Offer fresh fruit to match the juice flavors for garnishing the mimosas, if desired.